Less than three weeks ago I received my first Bliss Kiss Pure Nail Oil order and I’ve been using it daily since then. I ordered the Starter/Refill Kit and grip pads for opening the oil pen. I’ve seen so many convincing photos and read so many great reviews that I was very excited to try this product myself. As you probably know, I’m going back to natural nails after having gel nails for over a year so my nails are not in a best possible condition and I can use all the help I can get. 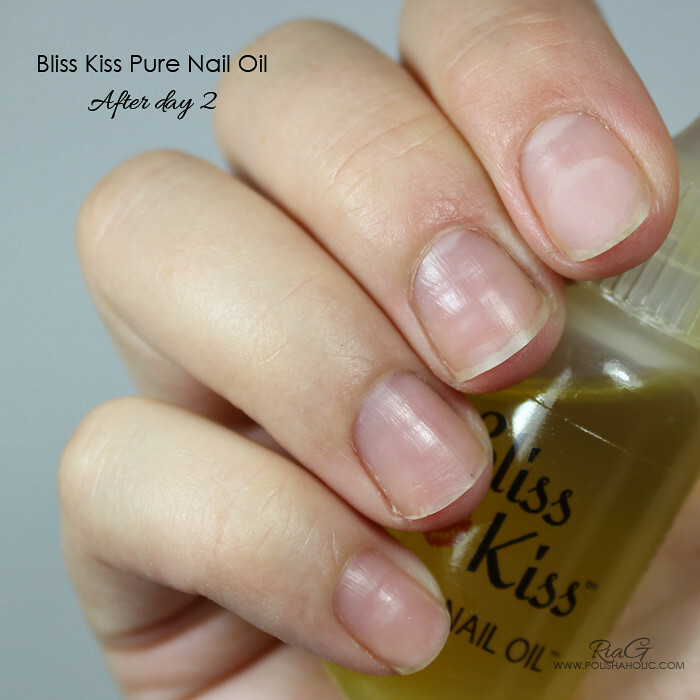 On this blog post you can see two week result on my left hand cuticles after using Pure Nail Oil. Today I’ll show you the before photo along with the first three days of using Pure Nail Oil on my right hand nails. After I received the package I immediately removed my manicure and went for naked nails for three days. Pure Nail Oil comes with good instructions and I tried to follow those as well as I could. Regardless of how bad my nails and cuticles look in the “Beginning” photo they were moisturized daily using lotions and CND Solar Oil. This is just how easily drying my skin and nails are. 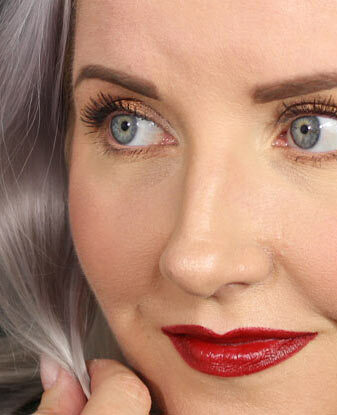 Use nail polish remover once and all the moisturizing goes out the window. No, not really ;) So you can imagine how much Pure Nail Oil my nails and cuticles took in during these first three days. During day one I kept applying the oil like once an hour and it all went in so fast. After a couple of minutes my fingers and nails didn’t feel oily at all. So I kept adding the oil all the time and I was stunned how fast it absorbed. I didn’t use a huge amount at a time, just a drop. The difference between Pure Nail Oil and Solar Oil was clear to me from the first application. Compared to Solar Oil this one absorbs super fast. Solar Oil also make my skin and cuticles feel kinda rough during application where as Pure Nail Oil makes them feel nice and smooth. Pure Nail Oil also makes my finger tips silky smooth. With Solar Oil I always need to use cuticle balm/cream to get the soft result. Pure Nail Oil is enough alone. So needless to say I was excited already after day 1. The next morning I took “Day 1” photo before applying the oil. So in this photo it’s been about 12 hours since the last application of Pure Nail Oil and I have washed my hands at least a couple of times. Quite a difference! My nails and cuticles looked different and they felt so smooth and well moisturized. During day two of naked nails I kept applying the oil quite often. Not as many times as the previous day but it was quite a few times then too. Still the oil kept absorbing fast and it was obvious my nails and cuticles still needed some extra care. So here’s the result on the morning after “Day 2”. Naturally not such a dramatic change anymore but I was still able to see and feel improvement. This photo was also taken in the similar situation as the previous one, about 12 hours after the last application of Pure Nail Oil. So I continued applying the oil for the third day. Now I didn’t really need to apply the oil as often as day one and two. I used just a drop of oil for each hand and massaged it in a few times during the day. I left my nails naked for the night so I could take my third and final photo the following morning. 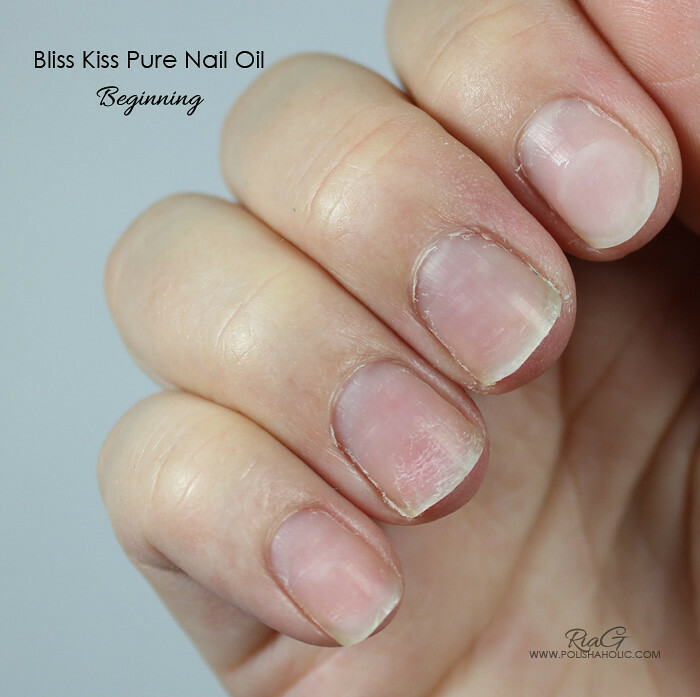 And here’s my three days result of using Bliss Kiss Pure Nail Oil. I can still see clear improvement on the condition of my cuticles and compared to the “Beginning” photo the change in just three days is HUGE! Since the three days of nail nakedness I’ve been keeping my nails polished and I’ve applied Pure Nail Oil on my cuticles a few times a day. I drop a tiny bit of oil on my thumb and then press my other thumb against it. Now I have a small amount of oil on both my thumb finger tips and I just rub it on all of my cuticles. 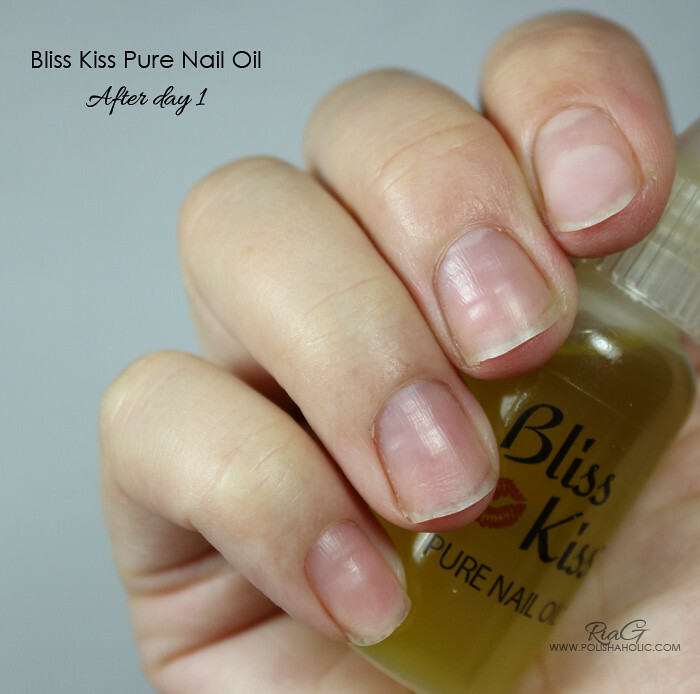 So a little drop few times a day takes you a long way with Pure Nail Oil. My manicures on my right hand now last up to three days which is long enough considering the condition my nails were in. The tips still have damaged part to grow out too. After I remove the manicure I apply oil on my nails and massage my nail beds and cuticles till the oil is absorbed. Sometimes I add another drop and repeat the massage. After all the oil is absorbed I wipe my nail with Cleaner liquid (alcohol) and do my next manicure. ***Pure Nail Oil was purchased by me. I don’t benefit from clicking any of the links on this post.